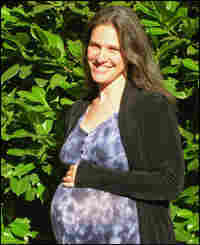 The Person I Want to Bring into This World Social worker Laura Shipler Chico is about to have her first baby. In naming the traits she and her husband hope the child will posses, she believes she will discover the things she values the most. I am pregnant. In the brief moments between dramatic dashes to the bathroom and just as dramatic raids of the refrigerator, I sometimes sit and philosophize about what kind of person I would like to bring into this world. "If we had to boil it down to three basic personality traits," I asked my husband, "what would they be?" I thought if I could name those three qualities, I could identify my own belief about what I value most. Just three, because I figured we'd be lucky to even get those, given our limited control over whoever pops out. "Honesty," he said, without hesitating. That was first on my list, too. I believe that when you're honest, you're less likely to end up in jail. And when you're honest, you're willing to take the harder path sometimes, and so you're always pushing yourself to grow. When you're honest, people trust you, and so soon you start to trust yourself. And when you can really trust yourself — well, I believe that that is the foundation for all the rest. After a pause, I said, "Caring about other people." Honesty all on its own can be a bit harsh, but when an honest person cares about other people, that's a powerful combination. When you care about other people, you're (hopefully) not as likely to land in jail, and more likely to become a responsible world citizen. You're less likely to be mean and more likely to have deep friendships. And when you care about other people, they tend to care about you, and pretty soon you start to care about you, too. Oh, and I almost forgot: When you care about other people, you are more likely to know how to really love, and how to be loved back. Now, for the third: This was harder. This was when we started to get greedy, as though having a baby at all, and then having a healthy baby, and then having a healthy baby that grew up into an honest, caring person wasn't enough. A long list of qualities vied for our vote: industrious, adventurous, creative, smart, kind, playful, and so on. But most of the qualities could still be traced back to our first two or, if not, they seemed less fundamental somehow. And then I remembered what my grandmother taught my father and my father taught me: "You should always be able to laugh at yourself." I believe that if you can laugh at yourself, it probably means you like yourself, deep down inside, and you know that you're no better and no worse than anybody else. You'll probably have fun in life. And most importantly, you're more likely to forgive yourself when you're not always honest and you're not always caring. And finally, we thought, even if you do land in jail, at least you can laugh at your own stupidity for getting caught.